Leeds United are currently enjoying a fine start to the season and look to have established themselves amongst the favourites for promotion, as they seek to finally return to the Premier League for the first time since relegation in 2004. Saturday’s hard-fought 1-0 victory over Sheffield United, accompanied by West Brom’s draw on Monday, has left Marcelo Bielsa’s side with a four-point cushion over the Baggies heading into the busy festive season. 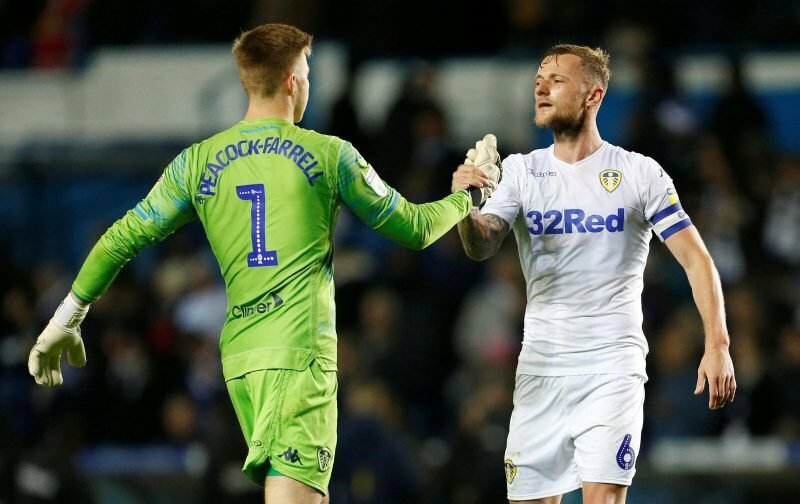 Improvements have been shown defensively in recent weeks as Leeds have secured three consecutive clean sheets, having previously kept just two in their last nine Championship matches – which means Bailey Peacock-Farrell has kept a total of eight this season. Statistics show that Liverpool’s Alisson has kept one more this season, with Bailey-Peacock securing more clean sheets that Chelsea’s Kepa Arrizabalaga, the world’s most expensive goalkeeper, and Manchester City’s Ederson. However, not everyone is convinced by the stat and we have gathered some of the reactions below. So Wiedwald looked great while we kept the ball last ssn, the matches afterwards we needed a strong keeper & he flopped. BPF is better than FW but that stat is misleading imo. More a reflection on how the team is defending tbh. The amount of clean sheets makes you question whether our two main transfer targets in Jan should be a GK & CB.. Unexpected good news for the Peacock.